Hoe te spieronevenwichtigheid Fix - Hebben ze van belang? 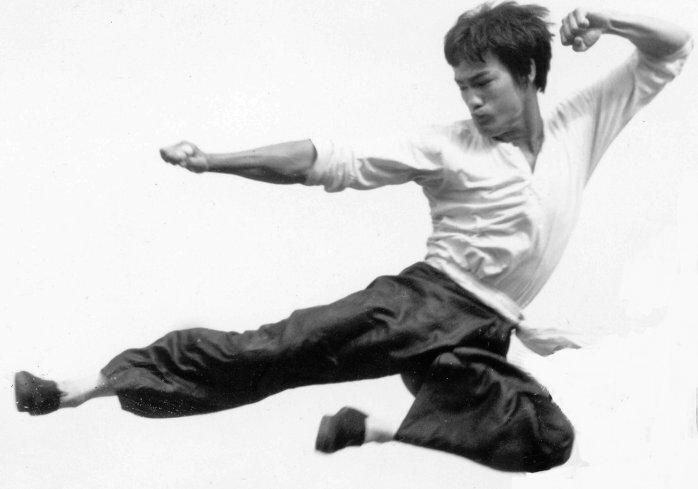 Bruce Lee, who had almost a 1" leg length discrepancy, managed to go far nonetheless. It is a good bet that having a dominant side is not a significant problem for humans, or we would likely have evolved to be more ambidextrous! 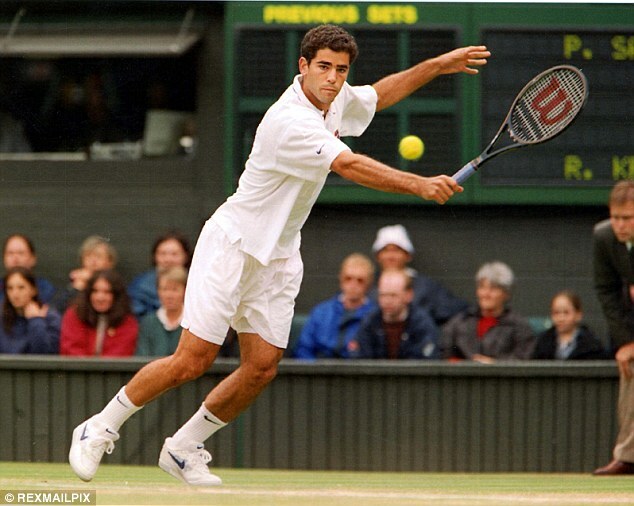 Pete Sampras showing great form. Playing tennis is a very asymmetric activity, but amateurs and professionals alike don't suffer from it in any obvious way. As long as our bones and joints stay well aligned and our postural muscles are strong, moderate amounts of muscular asymmetry doesn’t seem to be problematic. However, if our posture and movement patterns have been poor, we are much more likely to develop shears or twists in our bodies, and suffer injury or uneven wear in the joints. Joints or muscles that remain unused because of pain or weakness can degenerate or atrophy, hindering the development of a strong postural base. If it is suitable for your back, give a little more attention to stretchlying on your less favored side, where it is likely that your back muscles are tighter and shorter. Stretchlying on your less favored side can help even your body out. Most importantly, check that your pelvis and torso remain central and that you are not listing to one side. Be sure that as you bend, your knees point in the same direction as the feet, and that you don't list to one side. When practicing your glute squeezes for glidewalking, usually by raising a leg behind you, it can be helpful to complete more reps on your weaker side. Same with the inchworm exercises for gaining foot strength. Try to even out unevenness in the strength of your feet by doing more reps on the weak side. Make sure you do not always climb up steps and stairs with the same leg first. Alternate which leg you start with, and focus on pushing off from behind with the foot. 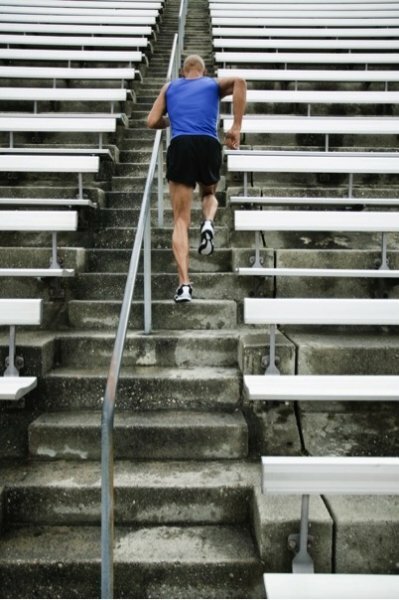 Alternating which leg you begin climbing stairs with helps eliminate a possible cause of muscle imbalance. You may also notice that a movement flows well in one direction, and feels awkward in the other direction (for example, opening a door with your non-dominant hand). Practice switching sides from time to time. Beginning with a blank slate will help you reexamine and improve your movement pattern. Being somewhat ambidexterous can improve your overall muscular strength and be helpful in sports and everyday life; it can also help chart new and helpufl neural pathways in your brain. Do you have activities in your life that are very asymmetric? Have they caused you problems or have you navigated them just fine? That's a tricky one, that nature clearly has not had time to evolve a compensatroy mechanism for! 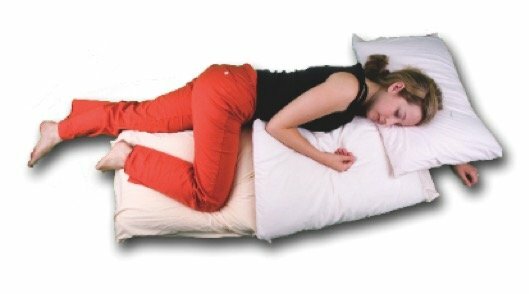 Untwisting while you sleep is a great idea to get some counterforce going. Stretchsitting with more pull on one side can be helpful too! Good luck! Yes I do have imbalances which were first pointed out to me decades ago in a bellydance class. The instructor told us that when doing hip circles almost everyone will find it easier to go one direction than the other. For me, I can circle clockwise but counterclockwise feels very akward. It's been years since I did any bellydancing and I'd soon forgotten all about it but recently when I was having some hip trouble I thought it might be beneficial to do some of those moves and that's when I realized how off balance I was. I have since been practicing counterclockwise hip circles daily! It is getting easier! And I do seem to have a preference for climbing stairs as you mentioned. And finally, much to my annoyance, I've been going downstairs all crooked. We live in a split level house which means there are stairs everywhere you go and because the stairs are a bit narrow I tend to shift sideways so that my footing stays well on the tread. This means I turn out my right foot and turn in my left foot. I am horrified by this since I already had a significant inward rotation on that hip! So thank you, thank you, thank you for this post! Glad these preliminary insights are helpful. Keep the awareness growing! I found this article so interesting. Probably about 5 years back, I found out I had a left leg 1/2 inch discrepancy and also had scoliosis. I am not sure if one is causing the other but I do ten to lean toward the left side, which is also how my scoliosis leans. I also dont have the best posture until I started this course. I was given a lift to put in my shoe but only started wearing it all the time when I started having more problems the past few months. I have now learned this may have shocked my body a bit. I am having right hip problems like I have pulled something or maybe even arthritis. My doctor has prescribed physical therapy but I am also going to continue with practicing your method. My question is, do you recommend keeping the lift? Now that I have had it in for so long, I feel so crooked when its out of my shoe. Thank you so much for the help on this!!! Heel lifts have pluses and minuses. Your body has adapted to whatever discrepancies there are, so change can be a small (or big) trauma all of its own. If there wasn't pain or a clear problem, I wouldn't advocate a big lift or perhaps any lift. I would begin by improving all the bilateral issues, which are usually numerous and which often solve whatever problem(s) there currently is. In addition to improving posture in general, it might make sense to begin using a small lift to make up for an obvious discrepancy that is causing problems or is likely to cause problems. Beginning with a small lift gives the body a chance to adapt to the many changes that will take place. One relevant factor is how long the discrepancy has been in place. If it is due to a recent trauma or surgery, then it makes more sense to imediately make up for it with a heel lift. If it's a longstanding discrepancy, a slower shift makes more sense to me. I believe you need to use both your logic and your sense of your body (you're the closest one in after all!) to decide how to proceed. You're also the best one to know how attentive you are going to be to signals from your body and how diligently you are going to work on improving your posture. Improving your general posture is the only no-brainer in this scenario. Hope you figure out a good trajectory here! I used to swim and read that doing the crawl, the swimmer should learn to breathe on both sides. I had always only breathed on my right. Learning to breathe left was a challenge in the beginning, but I was able to develop it and swapping between left and right improved my endurance. I now try to develop active skills on both sides to guard against unhealthy imbalances in my body. Very cool. I'm inspired and am going to try this also. It's an activity I haven't really reflected on, as crawl is a difficult stroke for me and I've only recently gotten comfortable doing it at all!